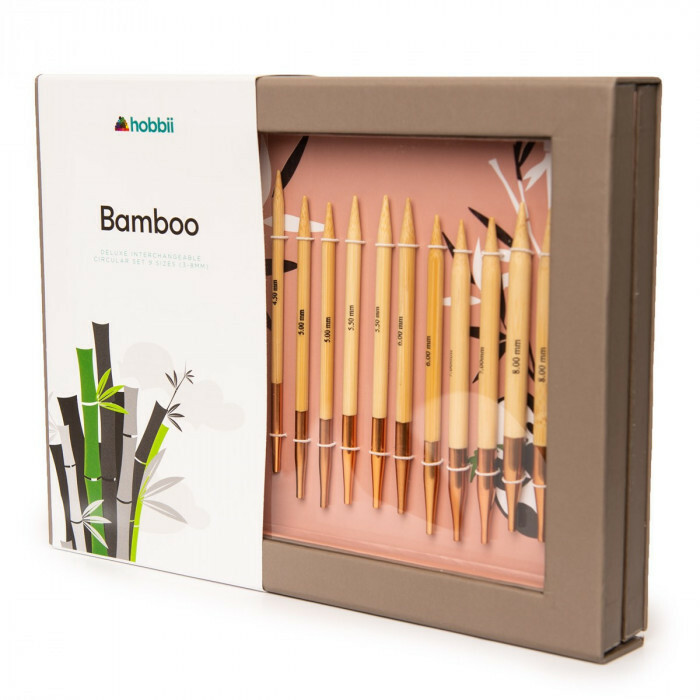 Large incredible set with interchangeable needles in an exquisite bamboo quality produced by KnitPro made specifically for Hobbii. KnitPro is one of the world’s leading manufacturers of quality knitting needles, crochet hooks as well as supplies which are being sold in more than 50 countries. 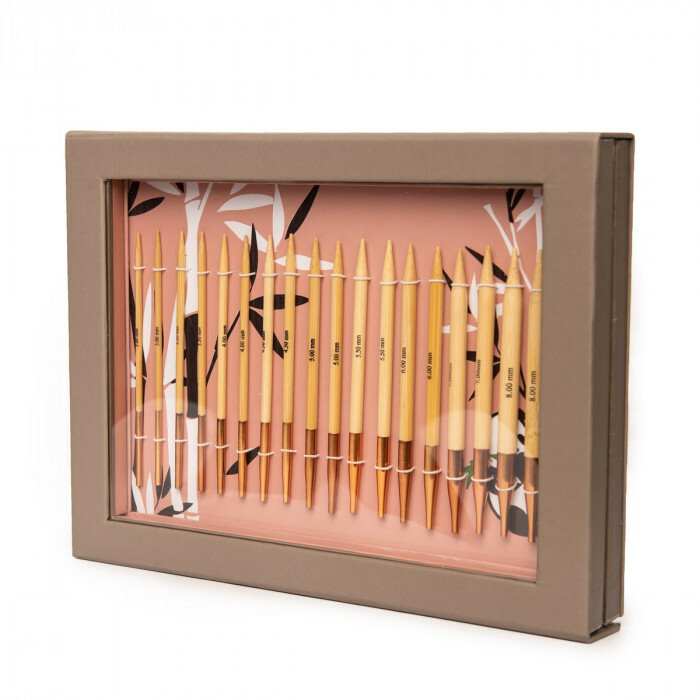 Our needle tips which are made in a world class bamboo have a great shape and a shiny finish, so the yarn easily slides forward on the needles while you knit. The connectors are made of brass and suits the soft wires perfectly. Since the set is produced by KnitPro, it can easily be combined with other KnitPro supplies. 4 wires: 1 ct 23.6 inches (60 cm), 2 ct 31.5 inches (80 cm), 1 ct 39.4 inches (100 cm). The length includes the needle tips. 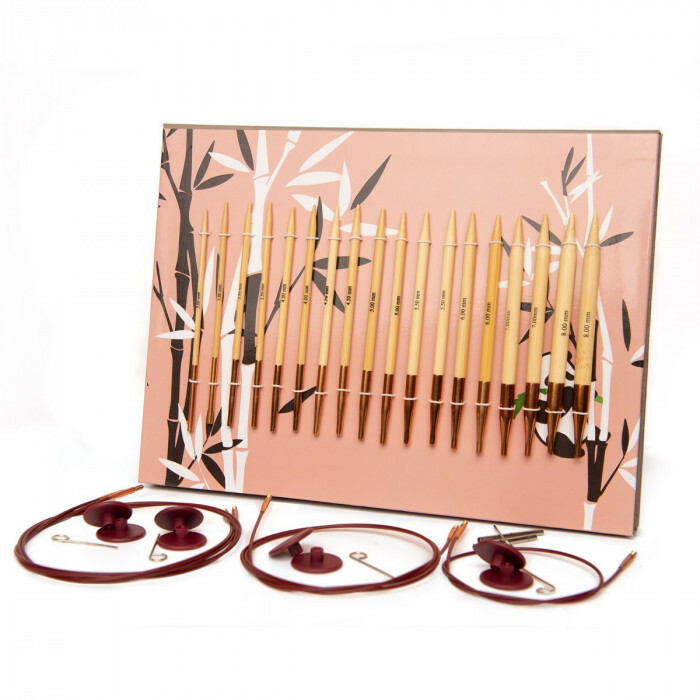 The circular knitting needles are not only used to knit in the round, they are also ideal for knitting back and forth. If you use circular needles instead of ordinary jumper needles, then you will experience that the weight of your knitting will no longer hang on the needles and thus strain your underarms. Especially when working with larger projects, it’s really pleasant that the work can be placed in your lap while you knit. You easily screw the interchangeable needles onto the soft wire depending on which needle size and length you need. Remember always to use the little key that is included when you screw the needle onto the wire so the needles don’t detach during knitting. You can use wire extensions, if you need extra long circular needles. Then you just attach the wires to the extensions and screw them tight with the key just as you would do with the needle tips. The stoppers can be used if you need to “park” your knitting while you use the needles for making e.g. sleeves. 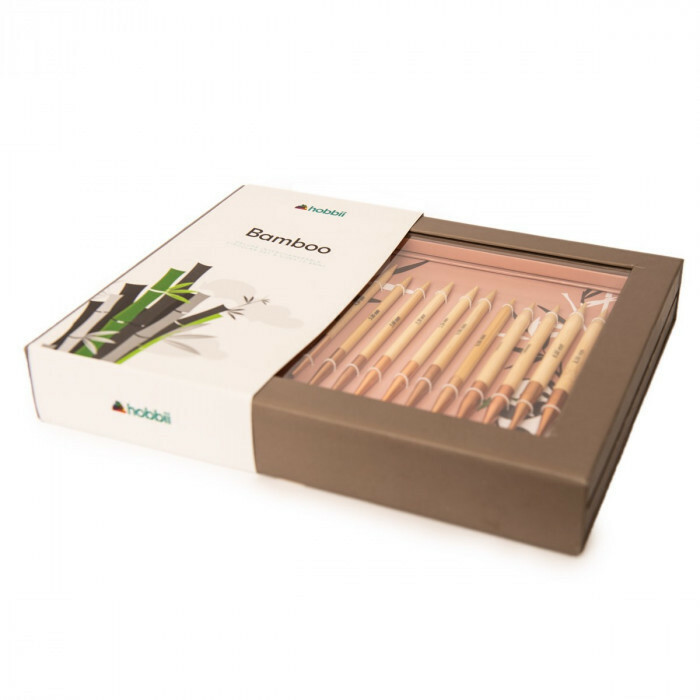 With this set containing the 9 most used sizes in top quality, you will most likely not be lacking needle sizes nor wires. 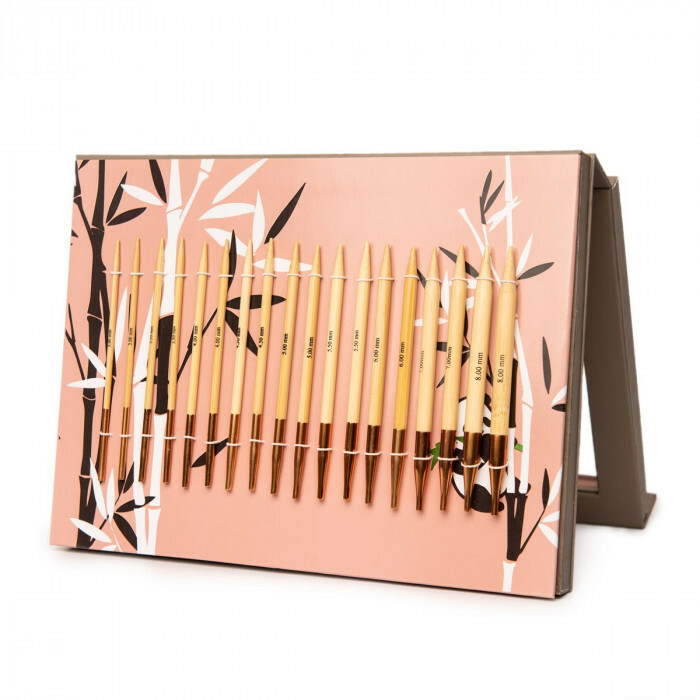 The case is ideal for storing and provides you with an overview of your knitting supplies so you can spend your time knitting instead of searching for knitting needles! It’s just a wonderful gift for a knitter. P.S. With the bendable and flexible wire, you also have the option to knit in the round with Magic Loop technique. So you can knit e.g. socks and sleeves in the round despite having very few stitches on the needle. The technique only requires a minimum of 31.5 inches (80 cm) of wire. There is a lot of good videos on e.g. YouTube where the technique is demonstrated. With Magic Loop you don’t need double pointed knitting needles, if you are not fond of them.